At Fresenius Medical Care North America, you’ll join a team that’s dedicated to bringing great care to thousands of patients – ultimately helping them live longer, better and healthier lives. With us, you’ll get our full support in going the extra mile inside and outside of the workplace. Because at Fresenius Medical Care, we do more than talk the talk: we walk the walk. A prime example is our partnership with the National Kidney Foundation. 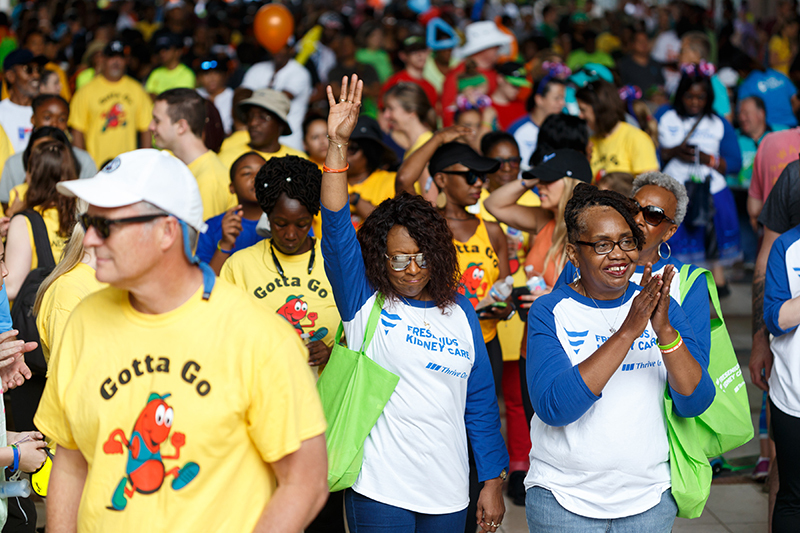 We are proud to be the National Presenting Sponsor of the 2018 Kidney Walk series, the nation’s largest ongoing fundraiser to fight kidney disease. We have an impressive history with the Kidney Walk series. 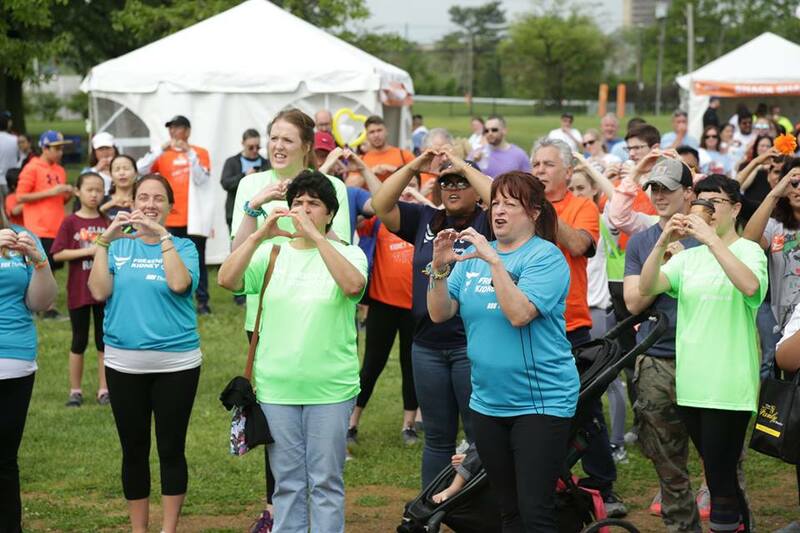 Since 2012, nearly 14,000 walkers from Fresenius Medical Care-affiliated teams have raised more than $1 million in the fight against kidney disease. In 2017 alone, nearly $300,000 was raised by our employees – the most ever raised by a national team. Our ambitious goal this year? To make a contribution of $750,000. We are confident we’ll reach our target through a $250,000 National Presenting Sponsorship, employees who will serve as leaders for local walks, and expansive corporate outreach. Through our ongoing participation as a National Team, we’ll be bringing together the collective power of our employee volunteers to make a greater social impact on the broader kidney care community. Find a walk near you and join us! 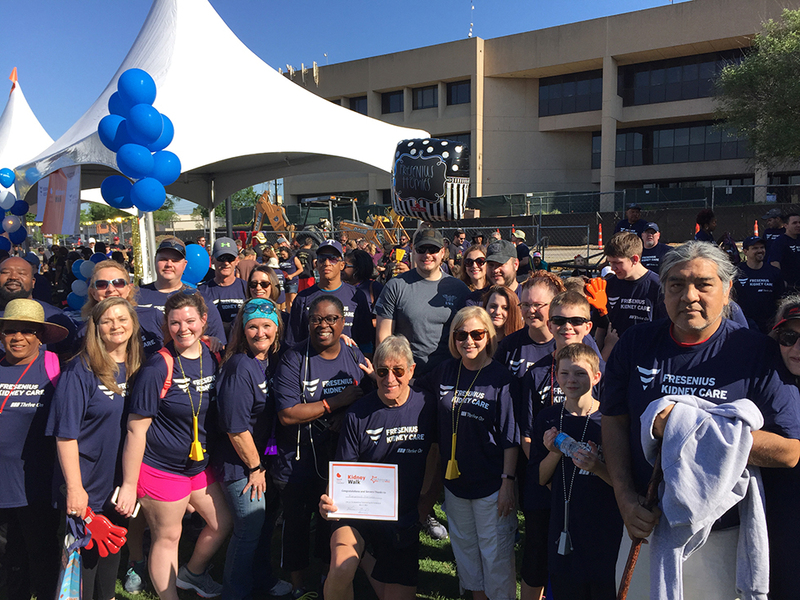 The Fresenius team showed up in The Big D for the Texas Kidney Walk and successfully raised over $17,000 for the National Kidney Foundation! 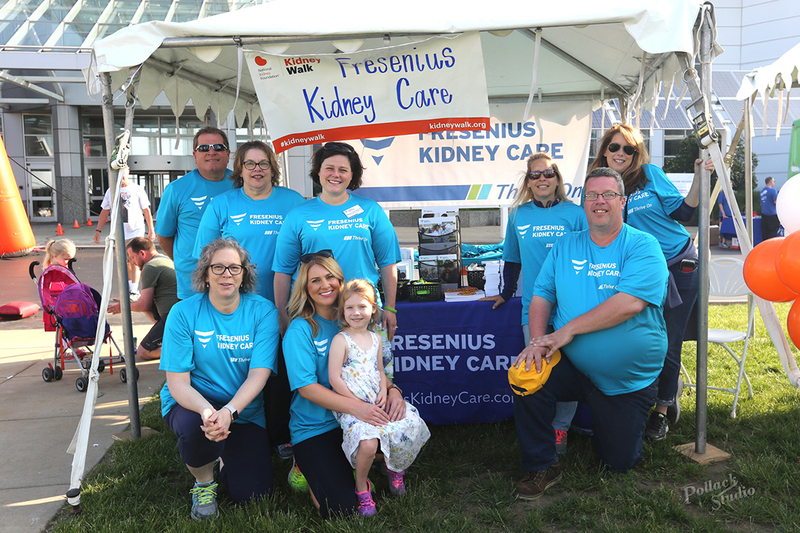 Congratulations to Fresenius Medical Care NA and the rest of the Northeast Ohio Kidney Walk participants for reaching 117% of their fundraising goal! 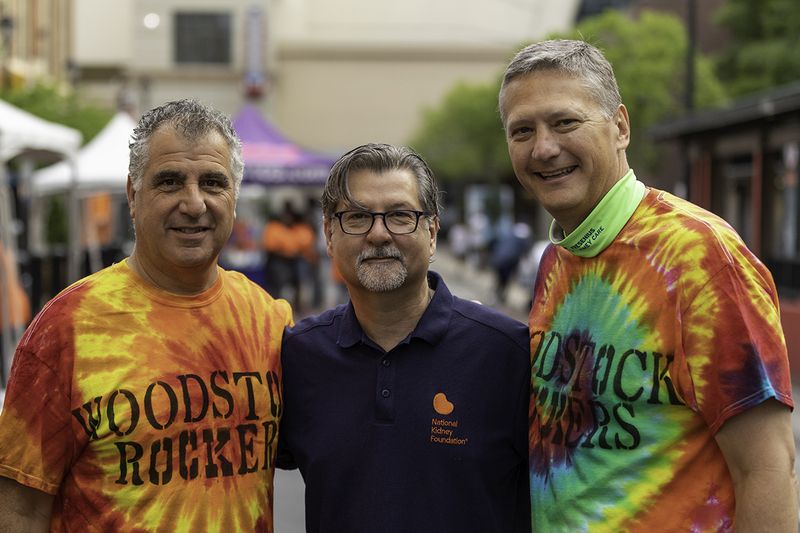 Fresenius Medical Care NA CEO, Bill Valle joined National Kidney Foundation CEO, Kevin Longino, GM Tony Hayes and our Woodstock Rockers team at the Atlanta Kidney Walk on May 19. Proud to represent Fresenius Medical Care in the 2018 Kidney Walk! 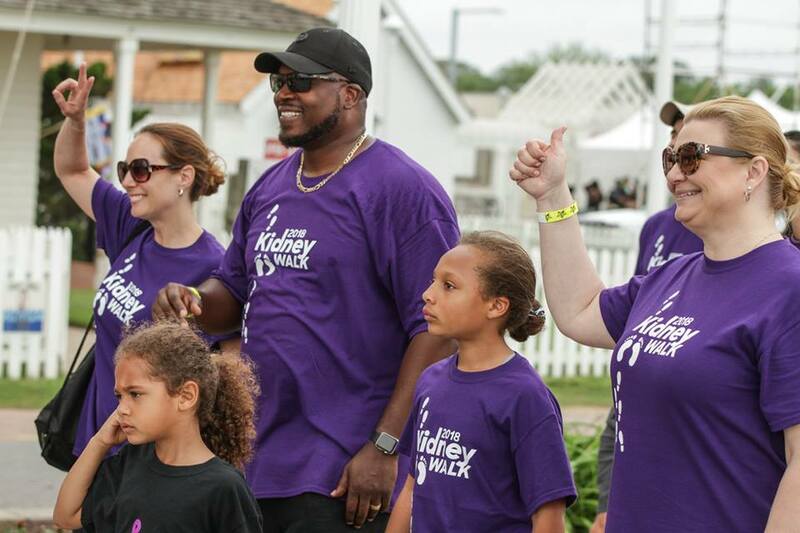 Our team is made up of employees, families, friends, healthcare professionals and patients – all walking, supporting and raising funds for the National Kidney Foundation. Some of our crew at the Hampton Roads Kidney Walk raised more than $4,000 for the National Kidney Foundation. Who wants to walk from Embarcadero Plaza to Pier 35 to support the National Kidney Foundation? We do! 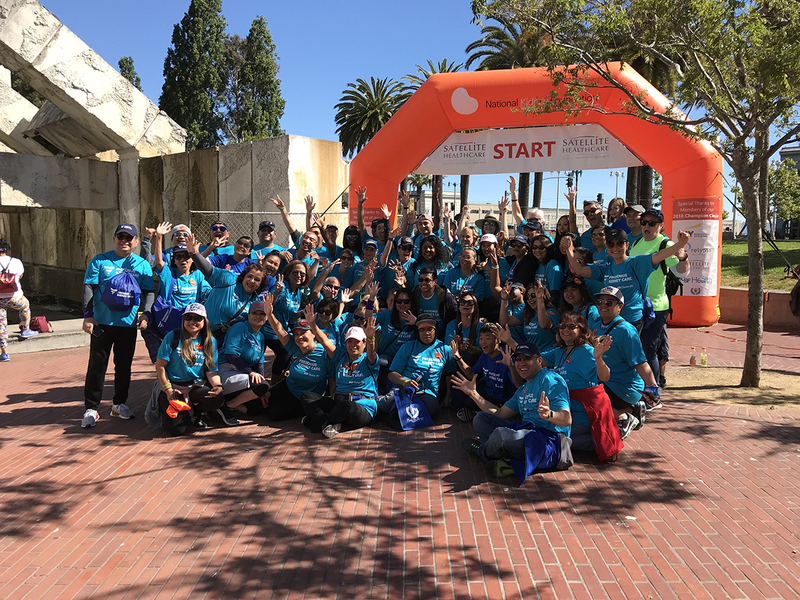 Here’s our team of employees, family, friends, doctors, nurses and patients at the start of the San Francisco Kidney Walk. 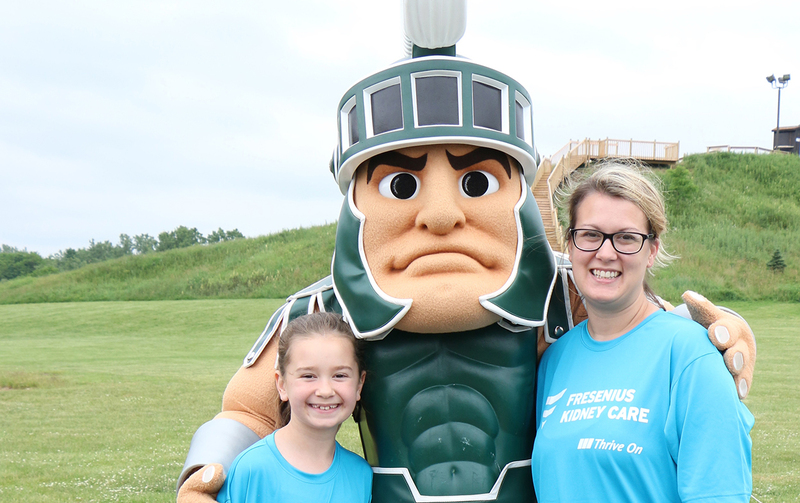 You can’t have a Kidney Walk in Lansing without Sparty, the Michigan State University mascot, and Fresenius Medical Care! 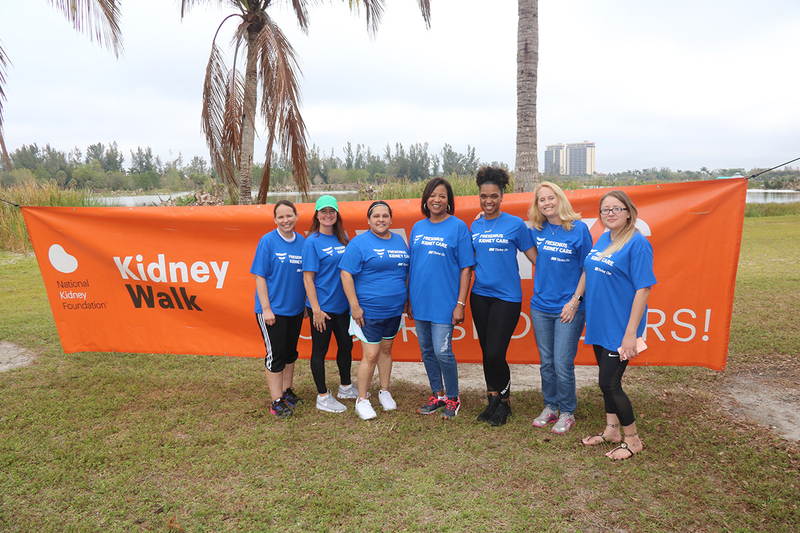 Some of our Fresenius crew walking in Fort Myers; they joined more than 90 Kidney Walks across the country during 2018. 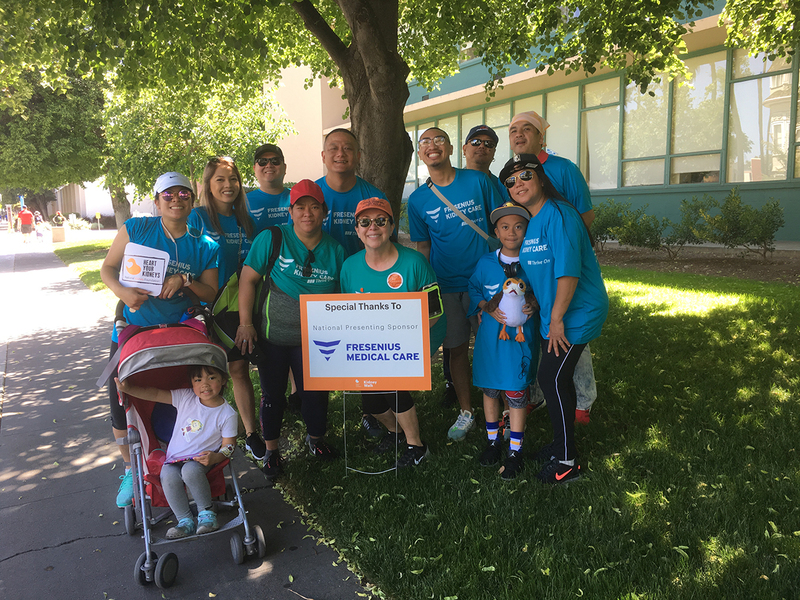 Our team at the Silicon Valley Kidney Walk joined more than 930 other Fresenius teams that have participated in the Kidney Walks since 2014. We’re all hearts at the Long Island Kidney Walk – sharing a determination to end kidney disease.